Shabu-Shabu and Grill. Yes, the term is shabu-shabu. First time I heard of the word, I thought of what? Methamphetamine hydrochloride. Sounds weird but that's what I thought of really. 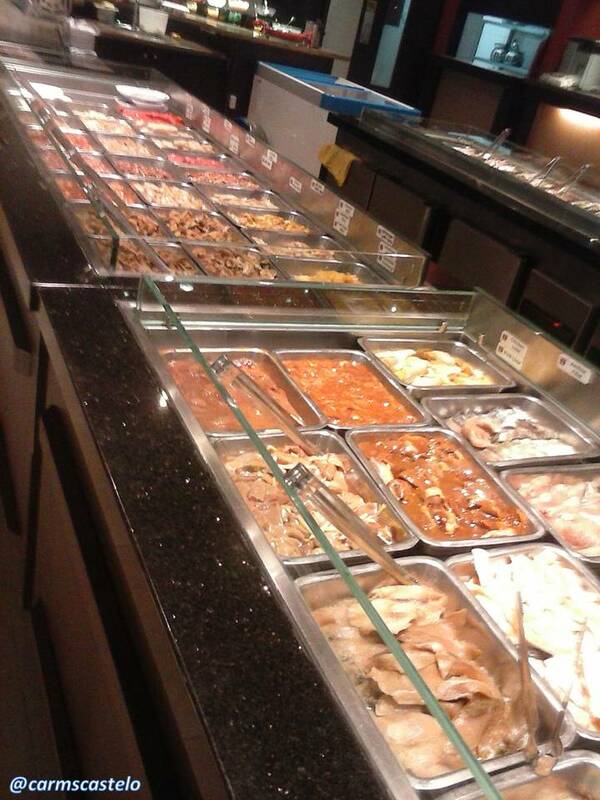 Three years ago, I ate in an all-you-can restaurant and spa in Pasay City, the one with shabu-shabu. I did not enjoy the food because first and foremost, I was alone. And then, I did not know how to cook with the shabu-shabu. I just watched the buthane gas in front of me then. Instead, I just took some foods that I knew and familiar with me. While other enjoyed cooking, I just enjoyed watching them. I was among the not so many Filipinos who were in that spa and restaurant during that time. The rest were mostly Koreans. I thought I was the one going there alone, I saw few Koreans and Japanese too, alone. The point is, while I enjoyed the spa, I did not enjoy the food. Eating is really not so fun while being alone. Last week, I visited another shabu-shabu and grill - now, in Quezon City. I was glad to go there not by myself but with a company of several people. I was not alone, hence I enjoyed the foods. I ate a lot, and learned what they did with the shabu-shabu. Tong Yang in Eton Centris, Quezon City. 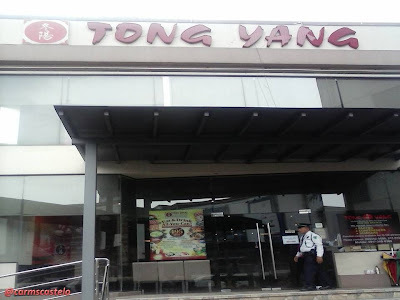 Thanks to the accommodating waiters of Tong-Yang in Eton Centris. I enjoyed so much the kimchi. 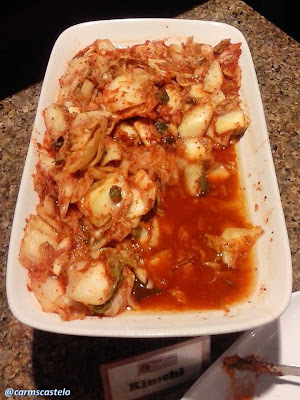 I ate kimchi in Malaysia before and in Japan when I went there. And last year, I ate kim-chi in Makati. Sounds funny? Yes. The minimum gap is a year before my next kimchi tasting. This is the difference between the Philippines and other European countries. Food is affordable anywhere. Fine dining is fun. Eat-all-you-can restaurants are cheaper. You don't have to book for a month before you can get seated for a fine dining. Just have money and you can go to a restaurant of your choice. It is indeed more fun dining in the Philippines. For other eat-all-you-can restaurants, you can also try Dad's with one free buffet for every group of ten and Kamay Kainan with authentic Filipino dishes.